These new and exclusive Glitter Photo Sessions are my favorite. 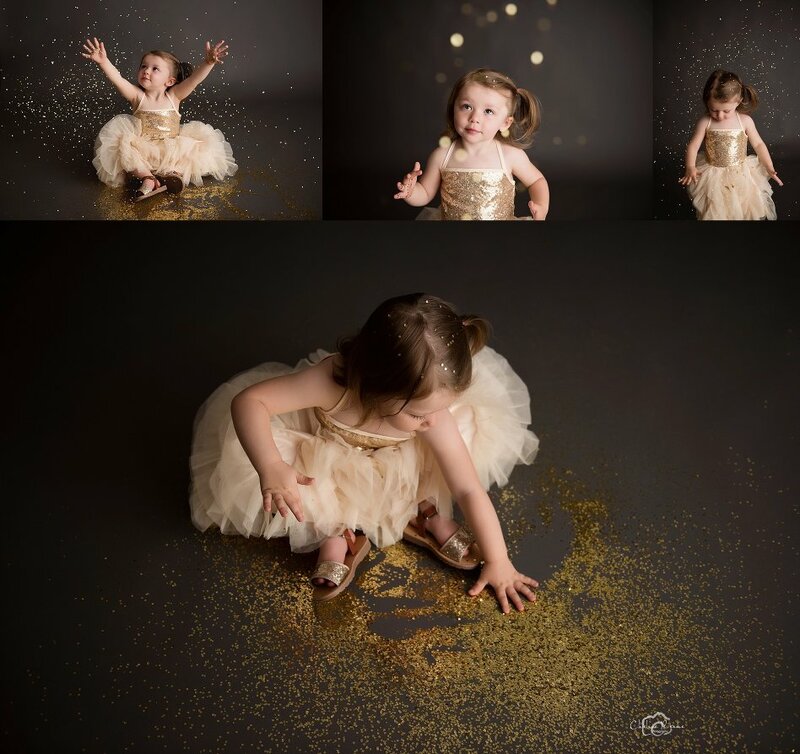 What better way to treat your daughter like a princess for the day, bring them to the studio to be dolled up and play in glitter. 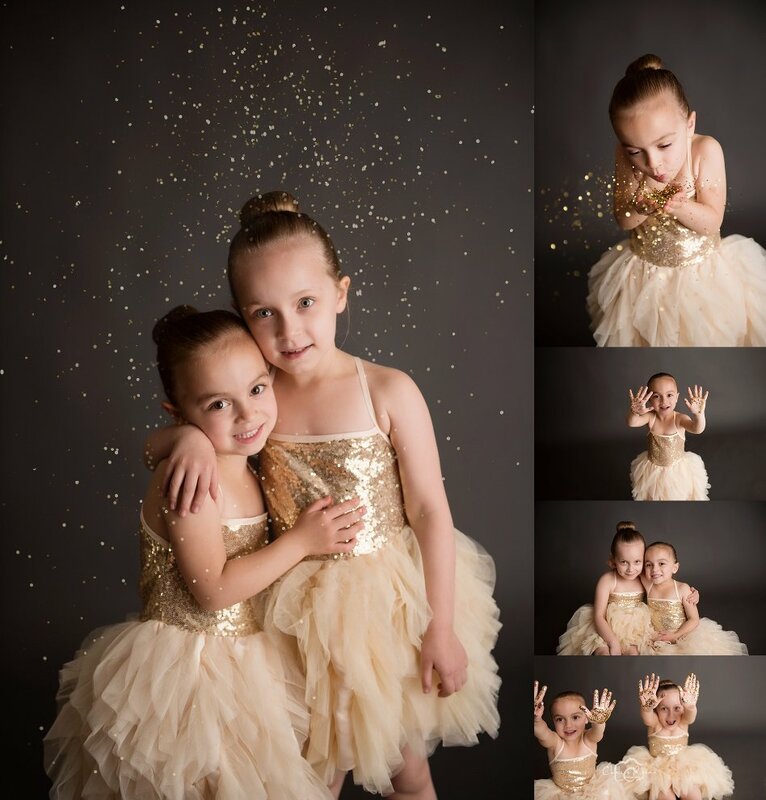 The gold dresses shown are available in multiple sizes 2T-7/8 for you to use during your session. You can also bring your own personal dress if you would prefer. The past glitter sessions were so popular that I will be adding them as a full session option, you can click here to book today. If you have any questions about the Glitter Sessions, contact me here. 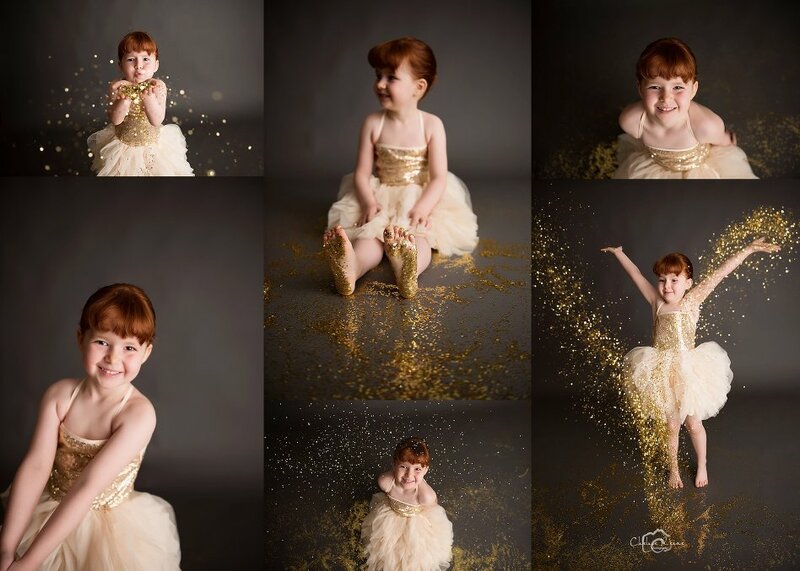 I love the adorable little gold shoes this sweet girl wore to her session. I recommend bringing multiple accessories and shoes to the studio so you have options during your session. Some girls brought their own dance outfits to their Glitter Sessions, this is a great way to add a personal touch to your session.